Classroom strategies supporting students' learning and wellbeing across the curriculum. ​Learn about key definitions and indications of SLC, and how this can influence learning. Dr Courtenay Norbury discusses the distinctions between speech, language and communication, and how children may have difficulties with some or all of these functions. 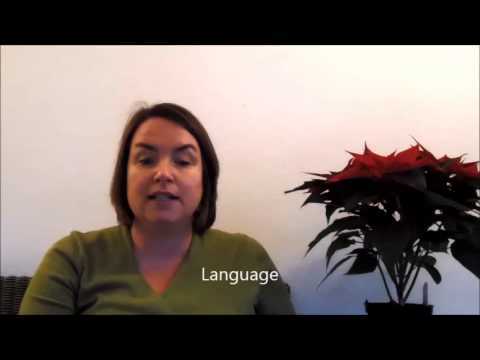 For slides to accompany this video, see Slideshare: Speech, language and communication. Four key strategies to support students with speech, language and communication needs. Work closely with the student and their whānau. Take an evidence-based, team approach to supporting learning and wellbeing. Monitor progress closely. Every student with speech, language, and communication needs are different, and their needs change as they get older. Literacy, communication, and social interaction are areas students may need some specific support. Explore recommended approaches. In Alberta, Canada schools are using Universal Design for Learning to support the personalisation of learning. Approaches that are useful for students with speech, language, and communication needs are often valuable for everyone. Develop visuals and graphics in partnership with students. Select strategies and approaches that support understanding and independence. Approaches that are useful for students with speech, language, and communicaiton needs are often valuable for everyone. Consider how you can use clear, uncluttered visuals to support understanding and independence. Discuss approaches with students. A summary of the challenges students with speech, language, and communication needs experience at school, with an outline of teaching opportunities to support learning. A Ministry of Education publication. This booklet examines how speech, language and communication needs can influence learning and provides strategies teachers can use in the classroom. An explanatory booklet about speech, language, and communication needs. Information about the Ministry of Education’s Communication Service, which employs speech-language therapists who support children with high communication needs in schools. An advice sheet for parents, carers and teachers on reducing anxiety for students with selective mutism.